Replacing the chain and sprockets on a quad from a motorcycle is fundamentally no different. If you follow the correct procedure, this can be done quickly and easily. In the video, we showed the process using the example of a Yamaha Raprot 700 ATV. The article indicates the main points that you should pay attention to. The nut of the front sprocket can be difficult to unscrew, even after the locking washer is flattened. Likely, a penetrating lubricant and a long-arm socket will need to be used. Put the quad in neutral, but use the rear brake to prevent the tire from spinning. 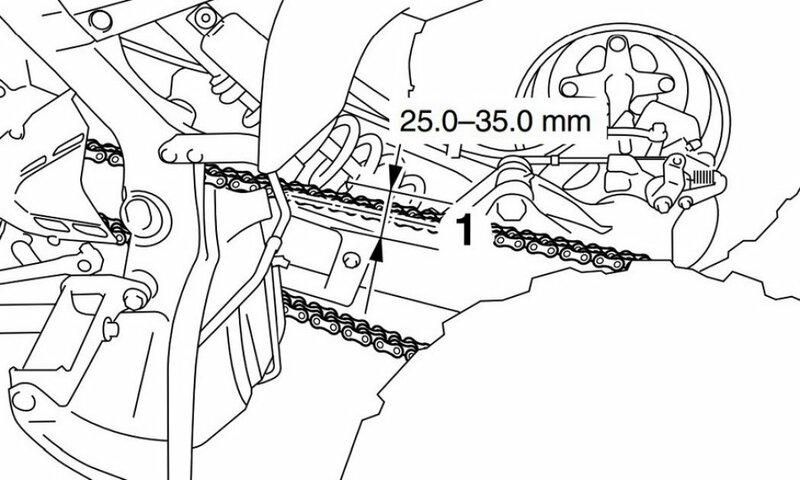 If standard sprockets are installed, then the chain length is determined by the manual. If non-standard, then the length needs to be determined on a case-by-case basis, with minimum tension. If the chain is closed on different plates (external and internal), you´ll have to add another link to install the lock. It´s better to increase or decrease the rear sprocket by an even number of teeth, and not change the front one at all. The stock chain on the Yamaha Raptor 700 has 98 links, and the front and rear sprockets have 14 and 38 teeth respectively. One tooth of a sprocket corresponds to half of a chain link, so it is better to increase ( or decrease) a sprocket by an even number of teeth. 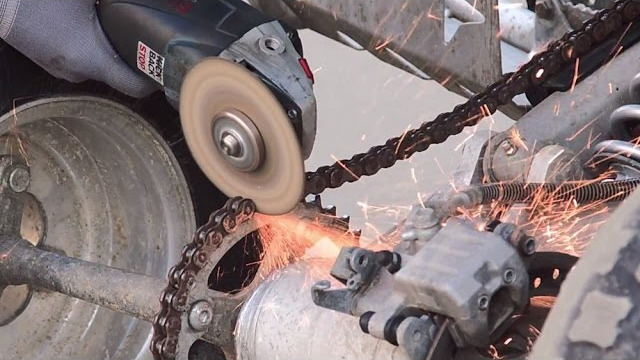 When replacing a set of sprockets and a chain, it is necessary to check the tension after a couple of hours of use, as the new chain will stretch a little. 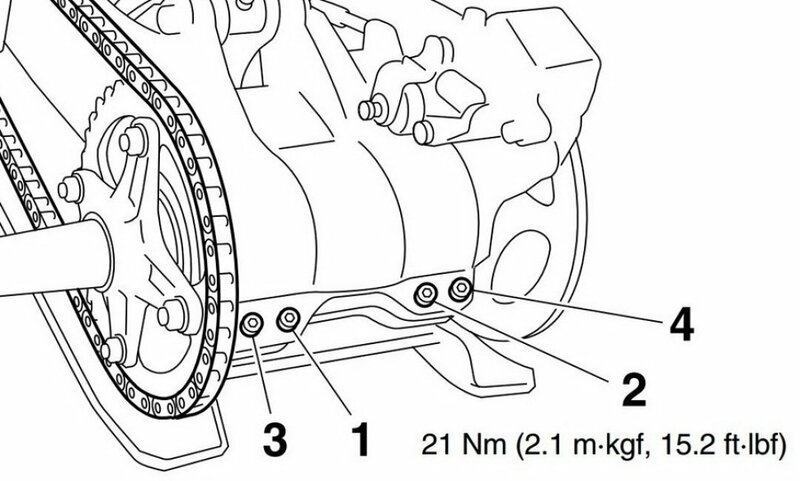 The free run of the chain is measured without load, when the quad is on a flat surface with four wheels. The locking bolts of the axle are tightened in a certain sequence with a gradual force. When tightening all the bolts and nuts, it is best to observe the instructions indicated in the manual. This is necessary to not break anything and securely fix the components. Nuts of a wheel and sprockets are also tightened gradually by the principle "opposite to the previous". If the thread is clogged, it must be cleaned! If there is no torque wrench, you can hand-tighten the nuts with a short lever (a key with a long lever can disrupt the thread). The nut of the front sprocket can not be broken when the wheel is blocked with the rear brake. With great effort, the wheel can still turn. In the video we showed all the highlights. We hope it is useful!